Discounted rates are applied according to the duration of your stay. 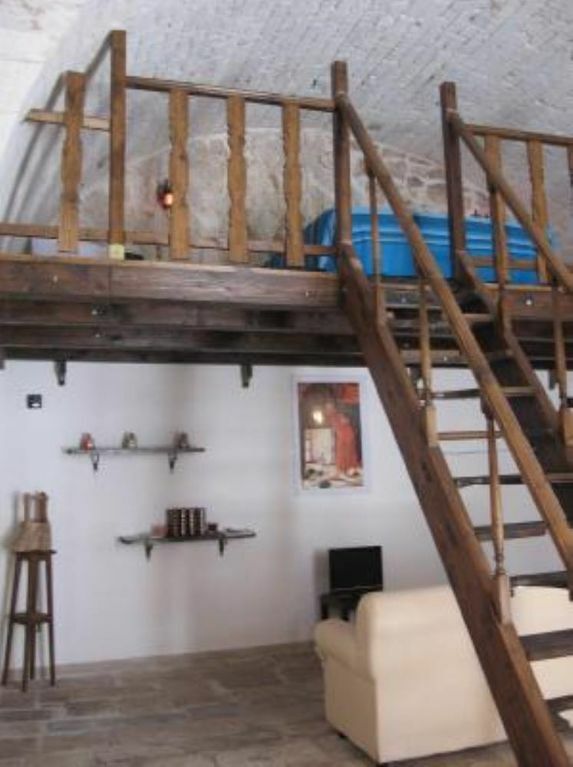 The cosy house is situated in Ostuni eighteenth-century district, close to the historical centre, and has an ample parking lot that comes extremely handful during the summer season when the availability of a parking space is exceptionally limited. The house has been recently restored to its original splendour. It preserves its traditional character with the typical old vaults and the pleasantly chilliness of the characteristic spaces in stone. The old stone vaults, the enormous arches, the characteristic troughs carved into the rock, the many alcoves and the pleasing cool temperature typical of old stone buildings will guarantee an enjoyable and extraordinary stay in this place full of history and tradition. The master bedroom is particularly remarkable; it is placed on a wooden loft in the rock and will give a touch of privacy and romance to the days you will spend in the house. The bathroom, with a shower dug into the rock, a stone sink and wooden shelves, creates a suggestive atmosphere for your moments of relax. The kitchen, created in a bigger alcove, has a cooking area, a stone sink, fridge, crockery, cutlery and all the tableware you will need. enchating stay in Ostuni, the White City. From the motorway SS 379 take the exit Ostuni-Villanova and follow the directions to Ostuni town centre. Follow the signs to Piazza della Libertà, then head to Via Crispi (near the Police Station).